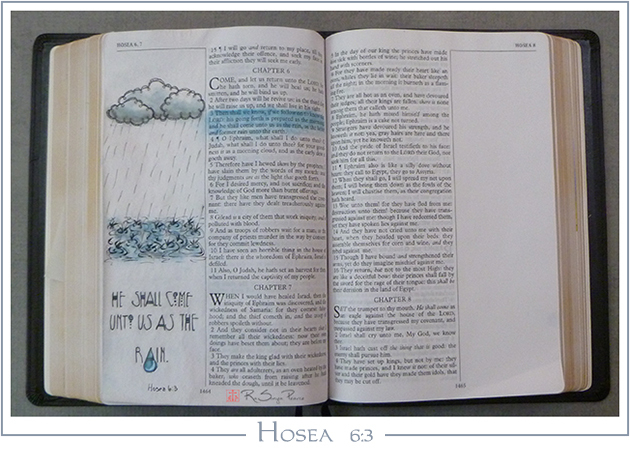 I’m still fighting a nasty cold and feeling puny so my Bible journaling for this Sunday is a quicky for Hosea 6:3. Does any one else find that when they prep their Bible pages with clear gesso, draw in graphite and then erase some of the graphite gets captured in the ‘tooth’ of the gesso? 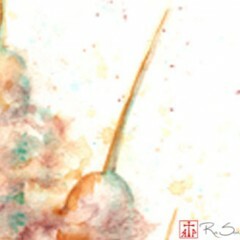 It makes the page a tad bit grungy and grey, not the original clean, fresh feel of the page before erasing. Not a really big deal, it is just weird to me….